Experience the intensity of the Playoffs – NASCAR style – at the Monster Energy NASCAR Cup Series Semi-Final Playoff Race, November 10. Watch eight drivers battle for a Championship Four spot. 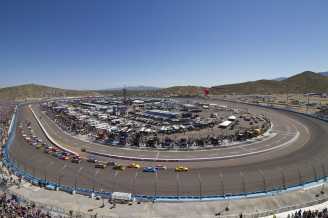 Watch the future stars of NASCAR battle during the Desert Diamond West Valley Casino 200, NASCAR Xfinity Series Semi-Final Playoff Race on Saturday, November 9.